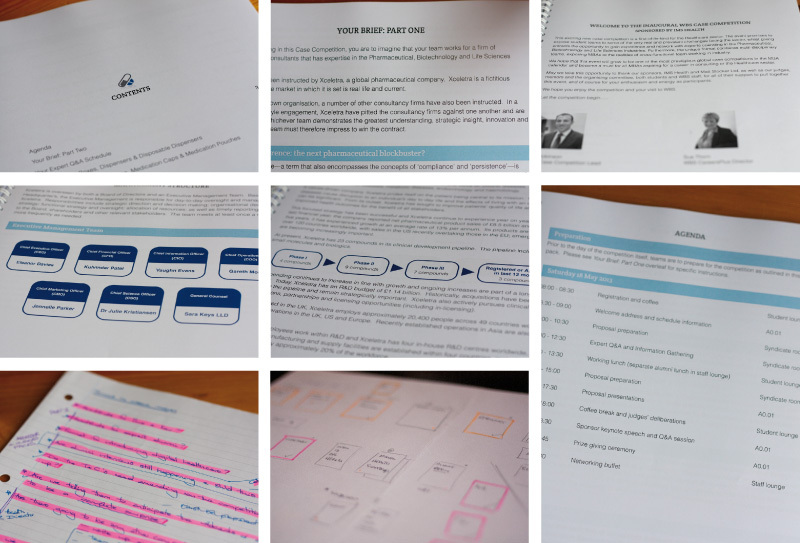 Last week, we took a behind the scenes peek at how we went about creating the case study for Warwick Business School’s inaugural Case Competition. Today, we’re following this up with a look at the day of the competition itself. Alongside Tornar Yang (MBA student and official photographer), Matt acted as an unofficial photographer, so we’ve put together a brief snapshot to give you a flavour of the day. 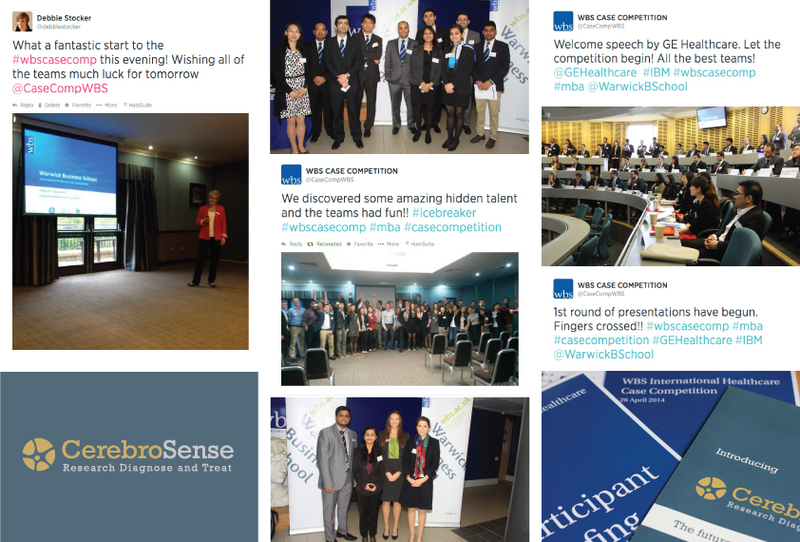 The day started at 8.30am with students arriving at WBS from all over the country—some had a very early start! Participants had received Part One of the briefing one week before but they had no idea about the second part of the challenge or what surprises the day had in store. The challenge itself had been designed so that it was difficult but achievable. Teams worked together to understand and balance the conflicting and competing demands of the case, while at the same time ensuring they kept the brief in mind and achieved the required objectives. Experts were on hand to answer any questions but teams were required to schedule meetings and to weigh the advice they were given. We were privileged to sit in on a number of discussions throughout the day and were extremely impressed by both individual and team insights—there was certainly no shortage of either brain power or enthusiasm! In just a few short hours, the time to present had arrived. Gathered together once again and with an audience of experts and judges, each team anxiously awaited their turn. Overall, the standard of presentations was very high. Each team had taken their own distinct approach to the challenge and it was clear that a huge amount of work had gone into each solution. Several judges even observed that many of the insights and several of the presentations would not have been out of context in a professional, client-facing setting. At the end of the day however, there could only be one winner and, in 2013, Lancaster University Management School’s team stole the day. The day itself, and indeed the whole competition, wouldn’t have happened without the incredible drive and dedication of both WBS staff and the Case Competition’s student Executive Team. 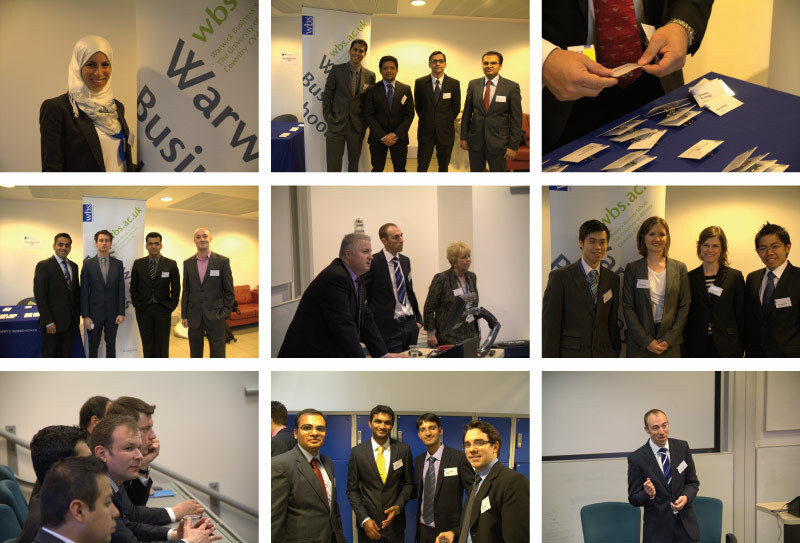 Thanks must also go to WBS and University alumni who provided significant expertise and who judged the presentations, along with IMS Health, partner and sponsor of the competition. We certainly felt privileged to have been involved and, as always, it was a pleasure working with all. We very much look forward to watching the Competition continue and grow in 2014. 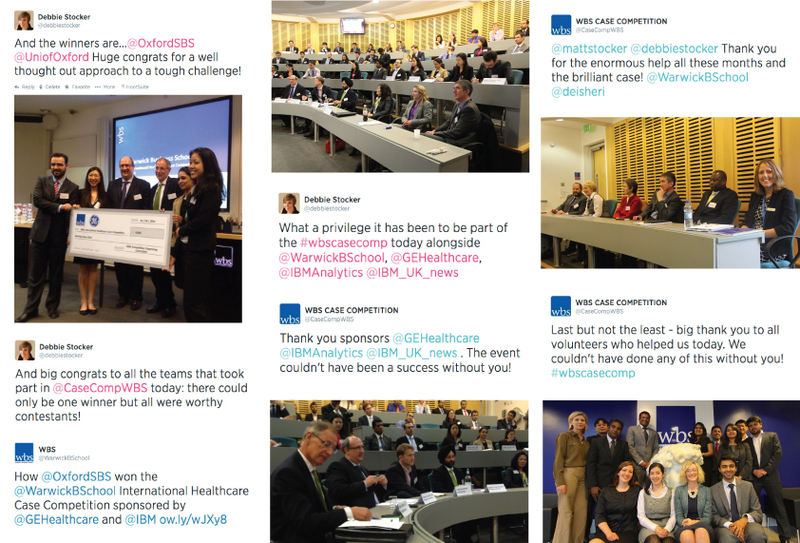 We know that WBS hopes the event will grow to be one of the most prestigious global case competitions in the MBA calendar and become a must for all MBAs aspiring to a career in consulting or the healthcare sector, so we are excited to see it evolve. 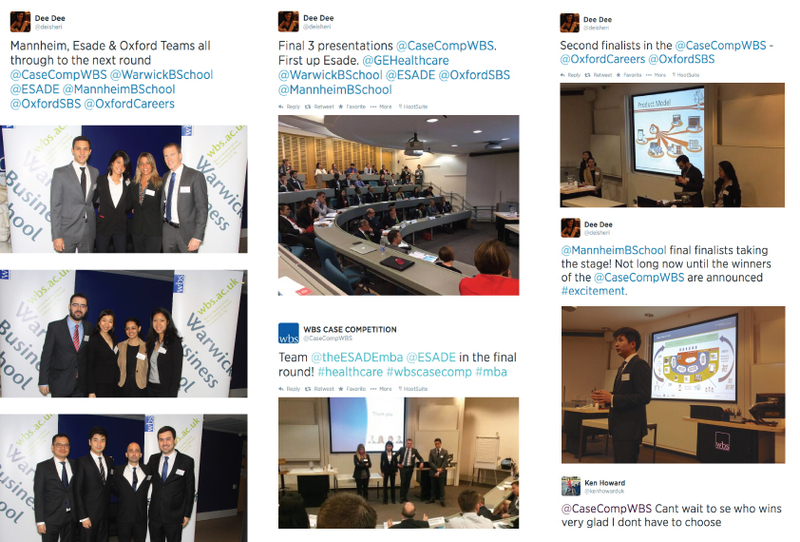 Earlier this year, we were privileged to co-create the case challenge for Warwick Business School’s inaugural Case Competition. The event was the first of its kind for the pharmaceutical, life sciences and healthcare sectors, and was designed to engage the finest talent from top, university-based business schools in the UK. Today’s healthcare sector faces some very real and prevalent challenges for which intelligent solutions are needed. 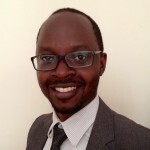 The sector is also a significant recruiter of management graduates and, according to a recent survey by the Graduate Management Admission Council (GMAC), a high proportion of job offers have already been secured by the Class of 2013. The Case Competition thus brought together teams from Warwick, Lancaster, Cranfield and Manchester Business Schools with experts and judges who offered experience across organisations such as GlaxoSmithKline, Roche, UCB Pharma, Novartis, University of Oxford’s Clinical Trial Service Unit (CTSU), Quintiles, Bristol-Myers Squibb and AstraZeneca. IMS Health, a leading provider of information, services and technology for the healthcare industry, kindly sponsored the competition and partnered in both judging final presentations and providing expertise to student participants on the day. 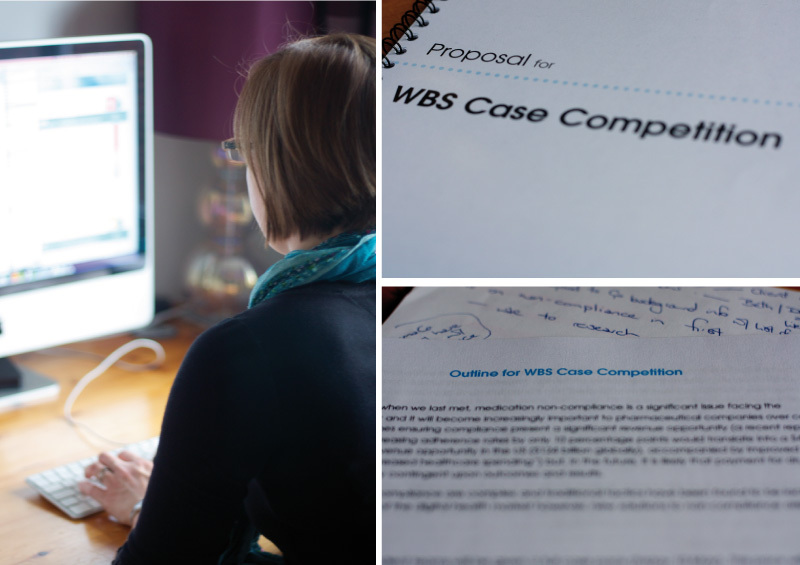 Following a detailed brief, we worked closely with Sue Thorn (Director of WBS CareersPlus), Kev Robinson (WBS Case Competition Lead), and members of the student Executive Team to co-create the competition challenge. From proposal to finished article, this was an iterative process of research, sharing of ideas, writing, design and development. Realistic case studies require in-depth research. Although the company at the heart of the case was fictitious, the market in which it was set was real life and current. It was therefore critical that everything in the case reflected deep, accurate and up-to-the-minute market knowledge. 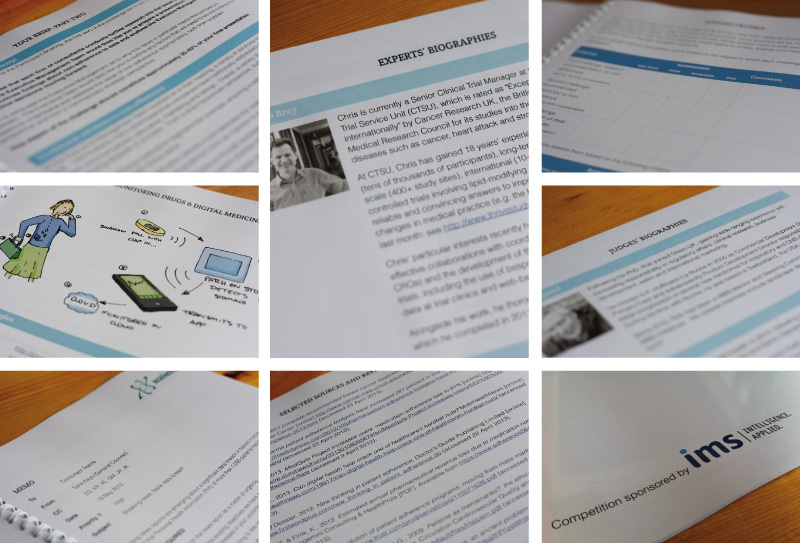 Debbie is our researcher extraordinaire, with Google and Evernote being her research tools of choice. Over the course of the development process, she captured (and read!) 479 news articles, opinion pieces, research papers, annual reports, briefings, white papers, guidelines, studies and industry reports—even watching several videos and news reports for good measure. Xceletra, the company at the heart of the case, was fictitious but it was important to create a believable organisation and brand—one that you could imagine being a real, live client. To create such a brand, we first decide where in the market the organisation is positioned, what size it is, and how innovative/traditional it is in comparison to its competitors. We then look for a name that sounds authentic but is not in use by an existing company—an exercise that proved somewhat challenging in a sector as large and diverse as pharmaceuticals! Drawing on the power of Facebook however, Xceletra was born. Our graphic designer, Robin Boyd, then skilfully designed its logo. With a believable brand in place, we next set about weaving the challenge into a credible story centred on a lifelike organisation: How many employees does Xceletra have? Which therapeutic areas is it focused on? How successful has it been to date? How many compounds does it have in its clinical pipeline? What is its organisational structure? Where does the competition challenge fit within the overall strategy of the business? For the Case Competition, we also wrote two scripts, one of which was brilliantly acted and filmed by WBS students and staff. I have to say, we never thought collaborative script writing would become part of our job description but it was great fun and we were fascinated by the way in which each of our characters developed their own distinctive personality. At the end of the day, our aim with any fictitious case is to blur the boundary between fact and fiction and for all participants to have an experience that is as true to life as possible. 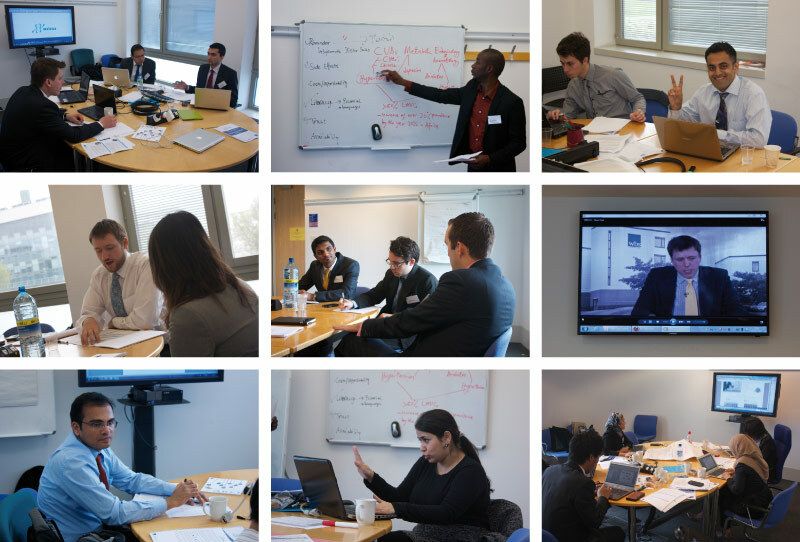 Part Two of the Competition Brief required that participants got to grips with a wide range of potential solutions—fast! To facilitate this process and to reduce the need for participants to undertake large quantities of primary research when time was precious, we employed visual communication. With a background in design, Matt is skilled at communicating complex ideas in pictures and while he’s the first to admit that his illustrations will never win the Turner Prize, his drawings have been commended for their clarity and creativity. With the core components in place, it was now time to pull everything together into a cohesive whole. Not only does the case itself need to tell a convincing story but a variety of other elements are also necessary to effectively communicate the logistics of the competition. From participants to judges, each individual needs to know what they should be doing and when. It’s also vital that key information is communicated to the right people at the right time. 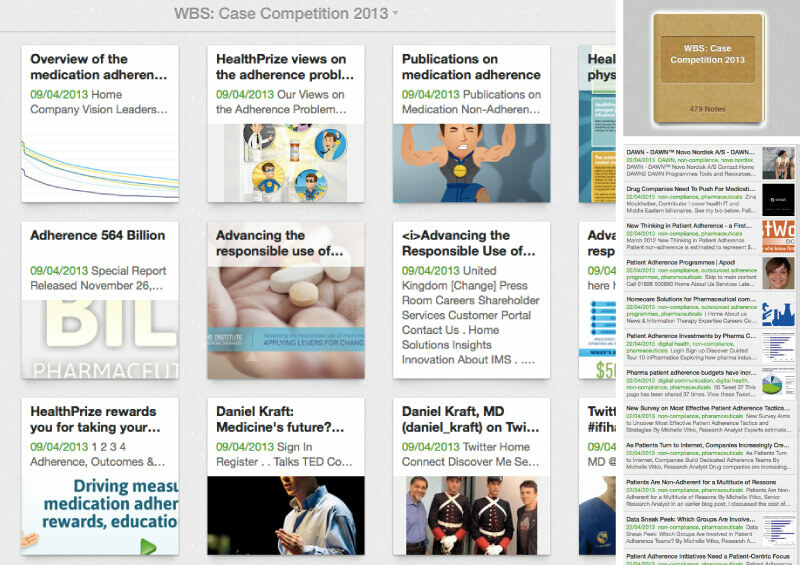 To ensure this, we created packs tailored to participants, experts and judges. All in all, it was a challenging exercise that gave us insight into the issues within the big pharmaceutical companies and it allowed us to come up, within the one week, with creative and multi-disciplinary solutions that kept in mind the different stakeholders involved. The energy and creativity that Matt and Debbie brought to the process has been amazing, managing to turn our initially sketchy concepts into credible and challenging materials to fully engage and stretch our participants. They took care to fully research the background markets and sectors we were using as a backdrop to these workshops so that the fictional companies created and business scenarios facing them were challenging, but also fully credible. They coped admirably with tight turnaround times, were flexible to cope with any changes in specifications that we made and engaged us fully throughout the process. 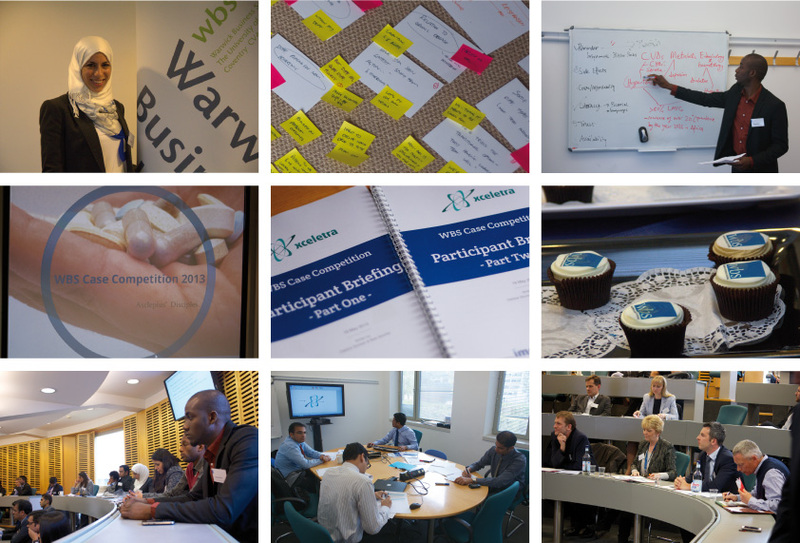 The high quality and scope of the case studies, the tasks devised for participants and the associated briefing materials gained praise from many of the senior WBS alumni and recruiters that were in attendance. 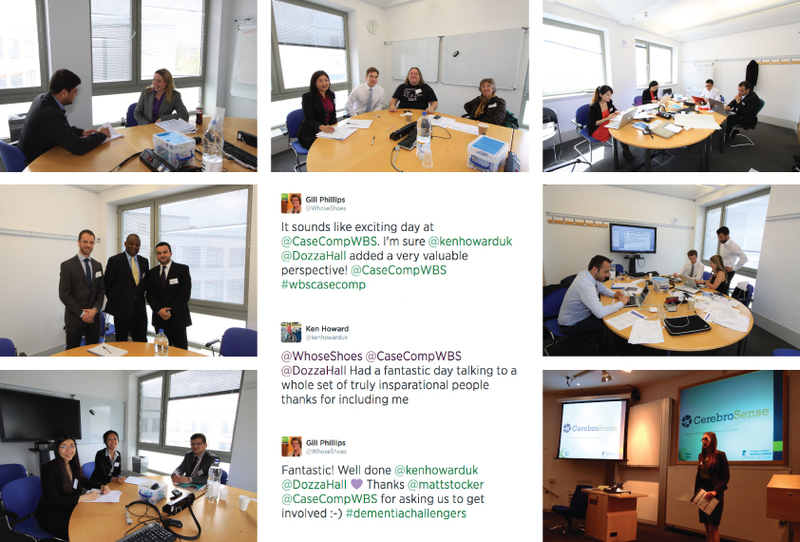 To find out more about the day of the competition itself, catch up again with us next week!